Boston Symphony created an email marketing campaign that sends out a preview email for the concerts coming up the following week. It includes links to podcasts, music clips, program notes, and bios. They send it to ticket holders and those whose musical interests match those on the program as identified in the MY BSO profile. The profile includes musical interests, genre, and types of soloists and day of the week. If there is a match, they get an email. Their season sponsors are interested in extending their sponsorships to include the podcasts because they now see the exposure. That helps to underwrite the costs of doing them. 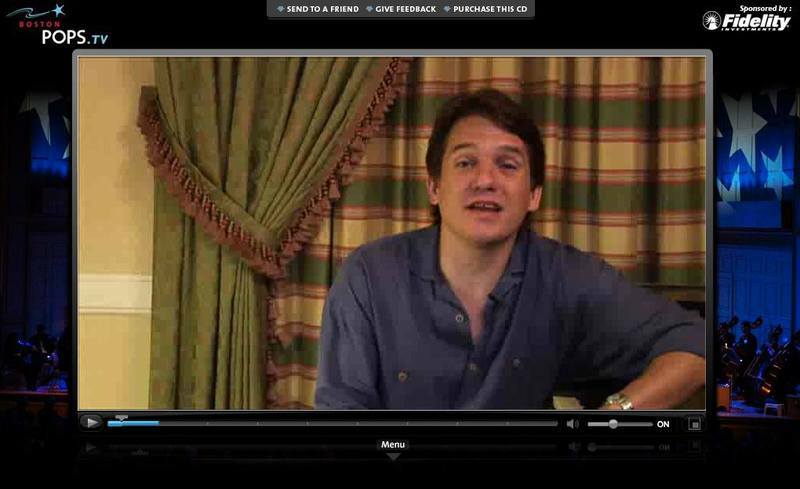 The BSO began to explore the idea of Video on Demand, through a project launched in October called “Internet TV”. The project is a parallel program to their latest Pops CD. Its like a mini concert on the web. The reaction has been very positive. People have been asking for the DVD of it and it’s had about 60,000 views in the first 6 weeks. If the value is there, it may translate into buying a CD, or attendance at a concert, and in the future a video on demand. The podcasts, and Internet TV, are in large part driven by the agreement with the union as well as requirements from the music publishers. Everything was specifically delineated for the website by the business agreements which currently don’t address reusing at other sites like YouTube. While the agreement allows the podcasts and Internet TV to be used without additional compensation, there are payments to musicians for any sales directly attributable from the Internet TV, such as CDs. Interestingly, for Rich, like a lot of others, his job has gone from being a technical person, to having to deal with business issues and overall strategy. As Rich says, taking the ‘Distribution Method for Idiots’ approach, they are taking their self produced albums and distributing them through CD Baby. The barrier for entry is low with a setup fee of $35. They distribute to iTunes- (all the 6-7 versions across the world), Napster, Rhapsody, Amazon Music, etc. 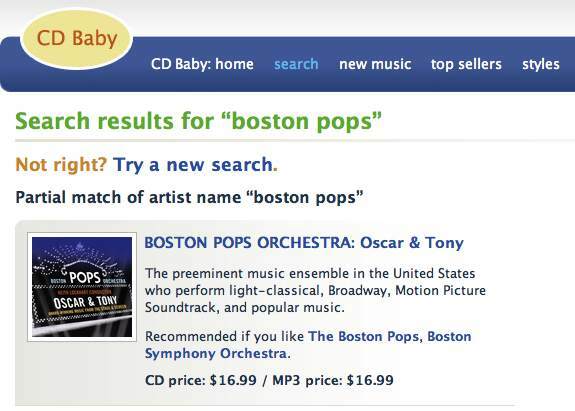 The downside is that since CD Baby acts as middleman, they take a cut in addition to the retail sites. CD Baby sells conventional CD’s as well as digitizing and selling individual tracks or the entire CD. The Oscar and Tony CD they put out had the benefit of promotion from the Internet TV site and sold a thousand conventional CD’s, enough to register on Billboard. Amazon has a new MP3 service. It includes an MP3 downloader which allows the download manager to ‘resume’ downloads. It will go and find which players you have and distribute to those libraries like iTunes or Windows music player. It’s cheaper for the consumer then iTunes and the bit rate is much higher then the standard iTunes MP3s. iTunes does offer the higher quality versions but at a higher cost. Offering the higher bit rate, and having the functionality of the Amazon downloader are attractive features to the BSO. They like to the model. The downside - While you can use Amazon’s technology, you are then required to have them host your files and use their technology to sell and distribute it. While their agreement works for CDs the pricing model doesn’t work for longer files like concert performances. Rich mentioned a new advertising model that they are looking into called PaperG. It's a flash based advertising model that works on social networks. The idea is like a digital version of the postcards that one can pick up at a nightclub, and then pass along to friends. 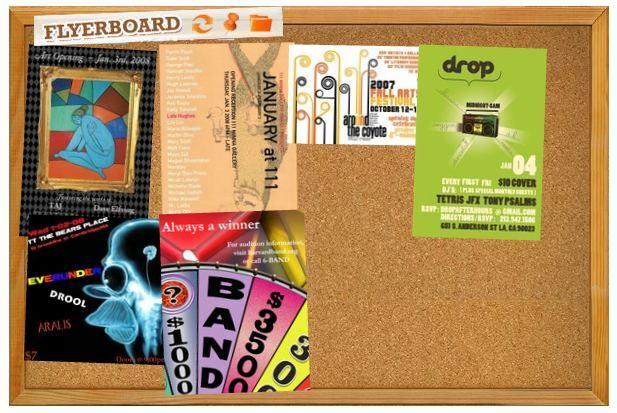 This digital version has a virtual ‘cork board’ where you can post your flyer. Anyone clicking on it can then forward it to a friend. I can’t wait to hear more about this. Anyone using anything like this?